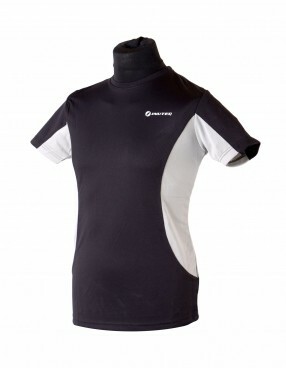 This INUTEQ® cooling t-shirt is lightweight and earth-friendly. It is made completely out of re-cycled plastic bottles. Boasting a sporty design this shirt can be worn on multiple occasions, from work to sports and leisure. This product performs best in low to medium-humidity environments. The level of airflow determines the cooling effect. Wearing this vest allows you to avoid heat stress and remain comfortably cool, thus enhancing your performance level. Cooling T- shirt H2O® superabsorbent cooling fabric with antibacterial treatment This INUTEQ® cooling t-shirt is lightweight and earth-friendly. It is made completely out of re-cycled plastic bottles. Boasting a sporty design this shirt can be worn on multiple occasions, from work to sports and leisure. This product performs best in low to medium-humidity environments. The level of airflow determines the cooling effect. Wearing this vest allows you to avoid heat stress and remain comfortably cool, thus enhancing your performance level.